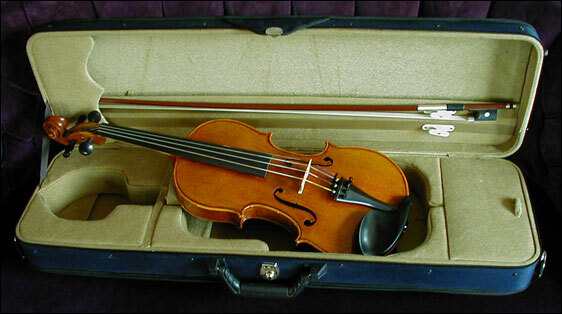 We are introducing our line of excellently-crafted student outfits, each complete with a violin, bow and case. Priced at $550, these outfits are a great value for the money. And just to let you know that you're never too young (or too old) to begin learning to play the violin, here is a picture of one of our many satisfied customers.